Gratitude themed scripture journal cards Hand-lettered and illustrated to add beauty to your scriptures, journal, scrapbook, cards or letters. 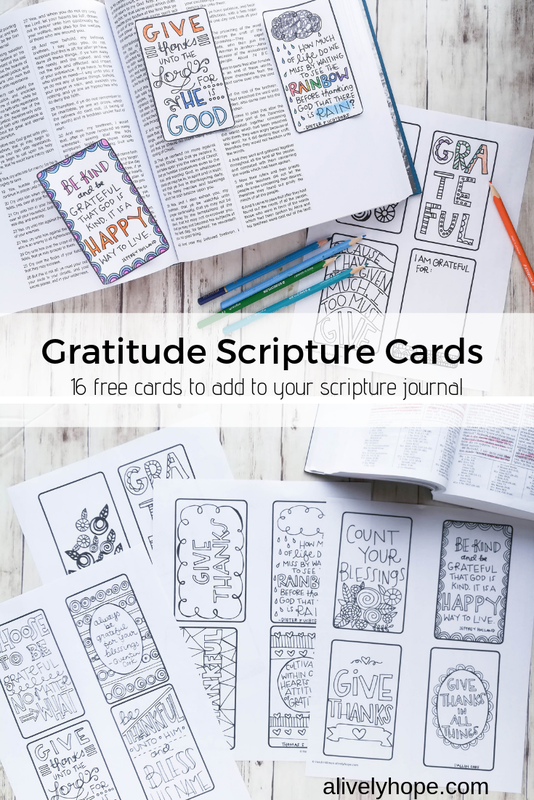 Includes 16 different cards featuring scriptures and quotes about gratitude. One of my favorite ways to add color and variety to my scriptures and my journals is with doodles and illustrations. The power of the scriptures is multiplied if I journal/doodle while studying. 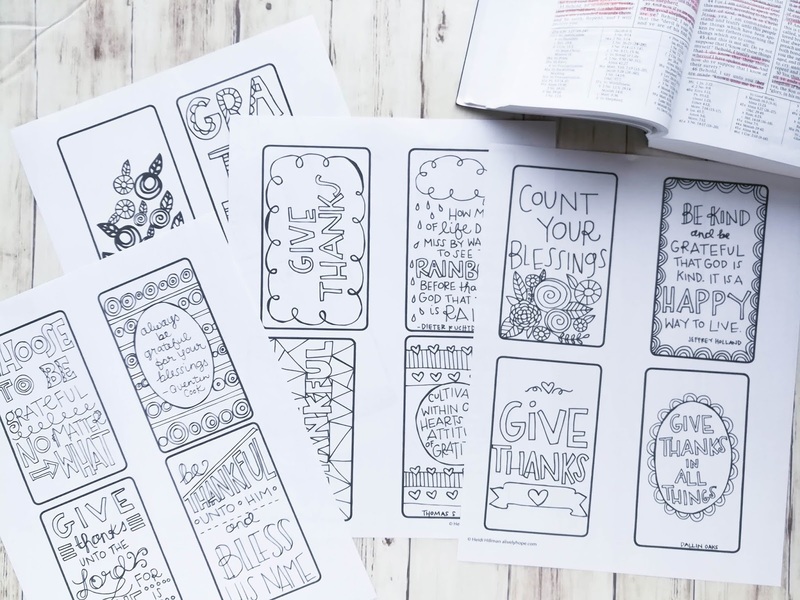 The act of drawing helps to cement the words in my brain. 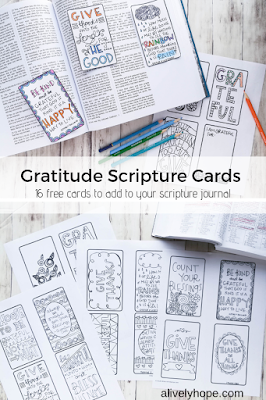 I created some scripture cards for you focused around the theme of Gratitude. 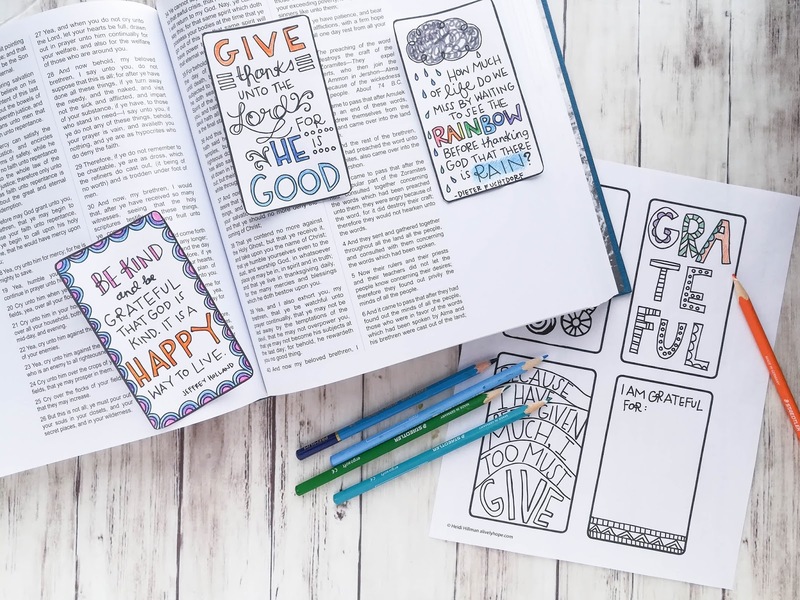 They feature inspiring words from scripture, hymns and church leaders. 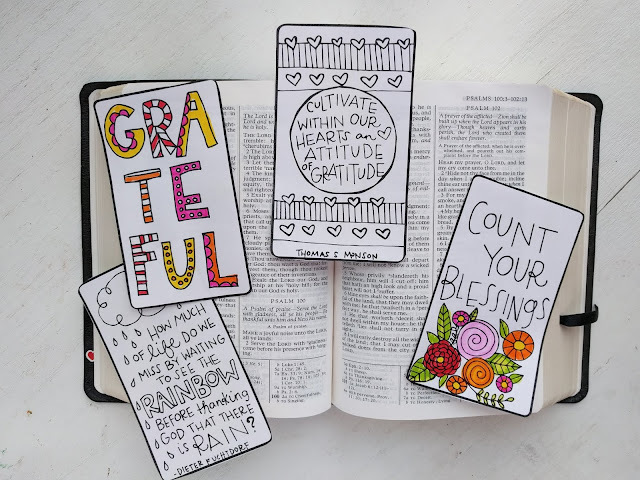 In my beautiful journaling Book of Mormon from Line Upon Line, these cards fit perfectly in the gloriously large margins. 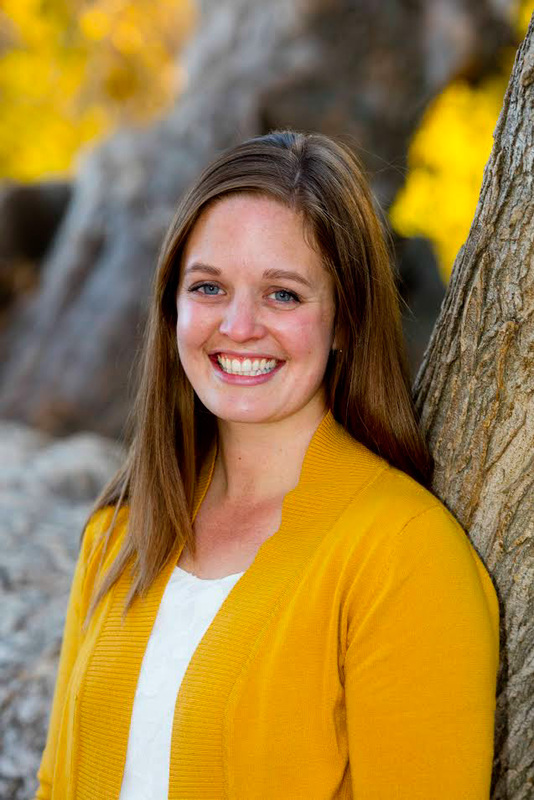 If you print off your own wide margin scriptures they will fit perfectly there, too. 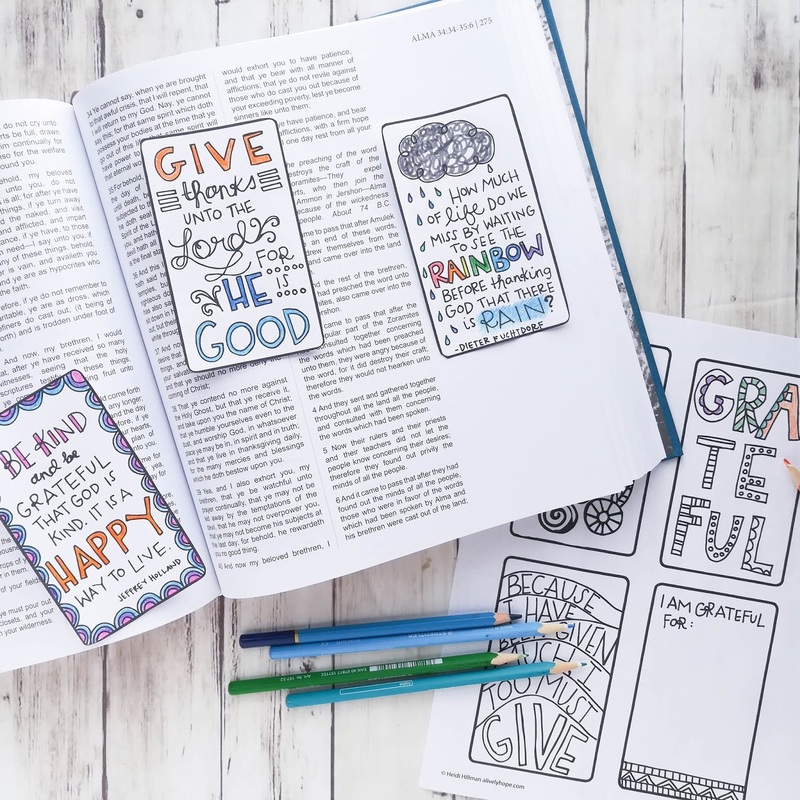 You could also trace them into your standard size scriptures like I have done here and use colored pencil to color them so you can still read the words underneath. 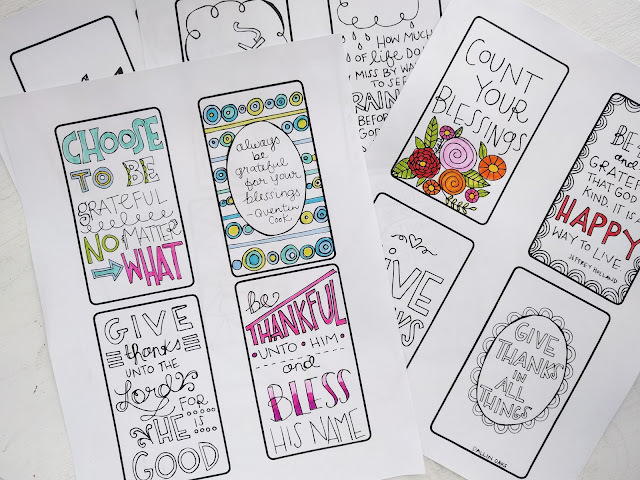 Print the cards on card stock and color them in while you count your blessings. I'd love to see your completed pages! Please tag me on Instagram @a.lively.hope so I can see what you've been making!